Henry and Elizabeth Rodway had a large family, some of whom were born in Torquay and who grew up there. Henry brought to that first meeting of the Volunteers in February 1853, his two eldest sons - William Henry Rodway* (born 1836) and Charles Allen Rodway (born 1837). These two grew up in Birmingham and would have gone to school there. "It would be difficult to describe the excitement which this excellently-planned scheme created. There was one slight casualty of an amusing kind. In order to heighten the effect, one of the men in the earthworks was directed to discharge some rockets; in doing this, one of the rockets slipped off the board on which it was placed and fell into a bucket containing the ammunition. The explosion which followed caused some confusion for the time, and one of the garrison was carried off to the Infirmary slightly burned." In 1924, William's obituary in the Torquay Directory revealed that it was he who had been responsible for firing the rocket which fell into the powder magazine and that it was he who had had to visit the Infirmary for first aid. Nothing daunted, William was back again the following year and actually won 4th prize in the Volunteer's shooting competition on that occasion. 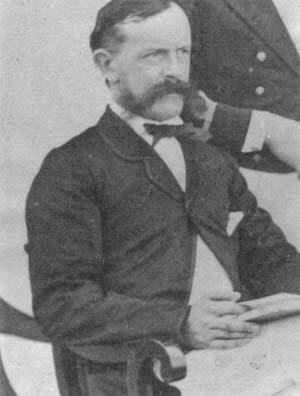 In 1861, at the age of 25, he was working as a dental student, presumably in his father's practice but a very different kind of career awaited him and the following year (1862) he left Torquay ( and the Volunteers) to become Commandant of the Sarawak Rangers on the island of Borneo. After many years of active service during which he attained the military rank of major, William returned to Torquay to live in quiet retirement with his sisters. He died, aged 87 at Vale Lodge on Teignmouth Road on 11 January 1924. Charles Allen Rodway was William's younger brother by less than 12 months. He too grew up in the Midlands and was educated there. Interestingly, his training as a dentist seems to have been more formalised than that of William and he became a Licentiate of the Royal College of Surgeons before starting a dental practice in nearby Kingskerswell from where he continued to support his father in the Volunteer movement. In 1866, Charles married Mary Harris (née Edwards). She was the widow of a young Totnes surgeon, Lewis Harris, who had died tragically in 1863 when Mary was only 20. Charles and Mary had three children - Minnie, Charles and Arthur - before Charles too was to die prematurely in the summer of 1873 at the age of 37. He went out in a boat with companions and died shortly afterwards from the effects of sunstroke. The census of 1881 shows Minnie living at Kingskerswell and the two boys at a small private boarding school in Buckfastleigh. The association of this family with the Torquay neighbourhood seems to have ended at this point. * Family information about William Henry Rodway kindly supplied by Evelyn M. Campbell.